2015 is in the taillights and 2016 lays ahead. I love these old cards from years gone by. The senders voices echo the wishes that were sent to their friends and family 100 years ago. 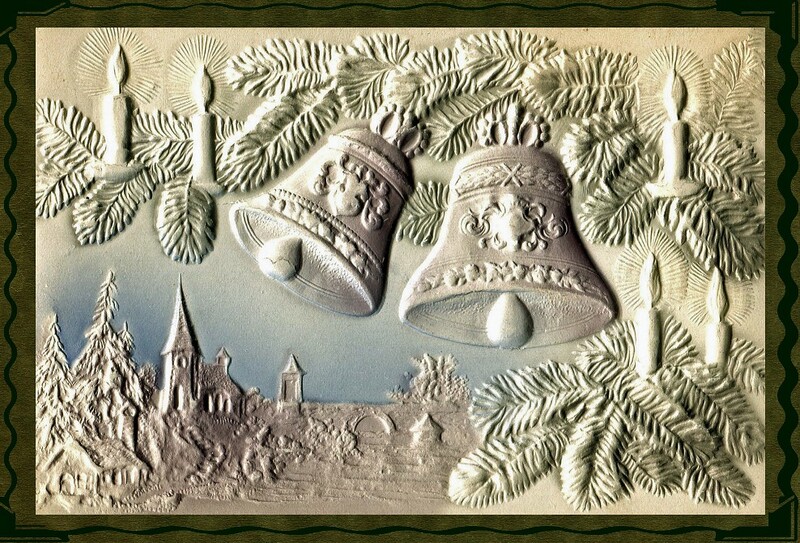 I hope that all my family and friends have a happy, healthy and wonderful 2016 and many more New Years to come!! 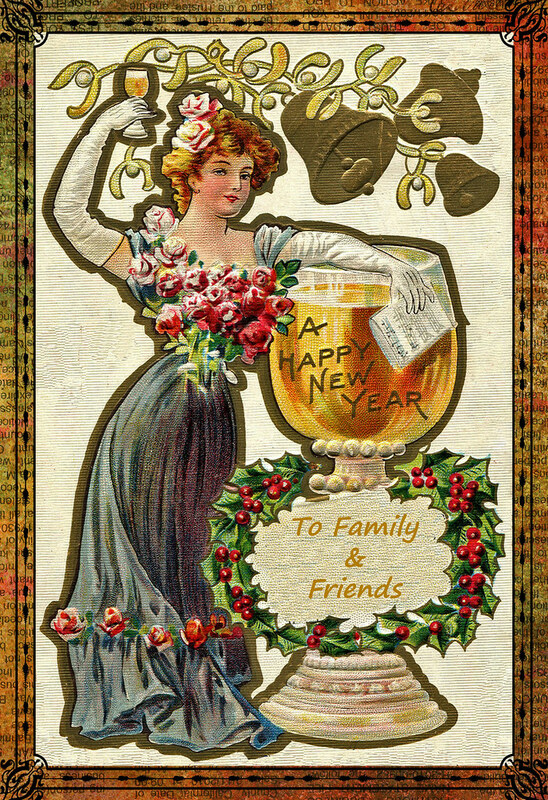 A Happy New Year to Everyone, here’s wishing you all a fabulous 2013! 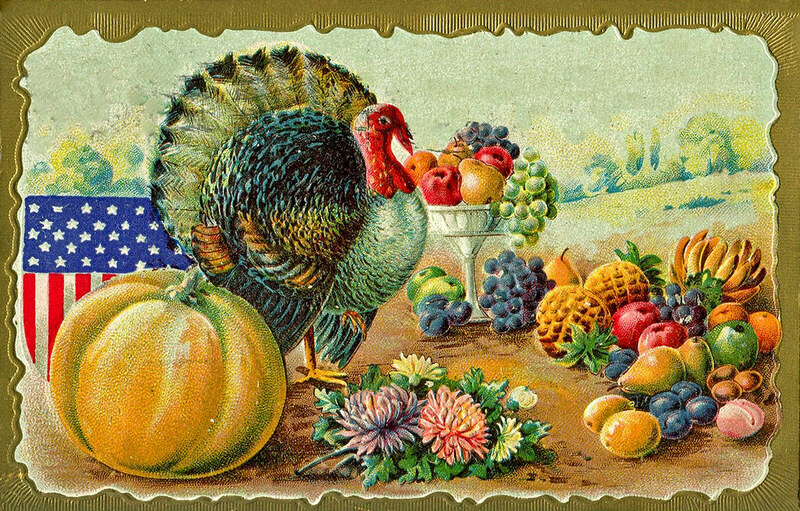 I want to wish all my family and friends a Happy Thanksgiving! Click on the image to see it on Flickr. This collage isn’t perfect but I like what I came up with. 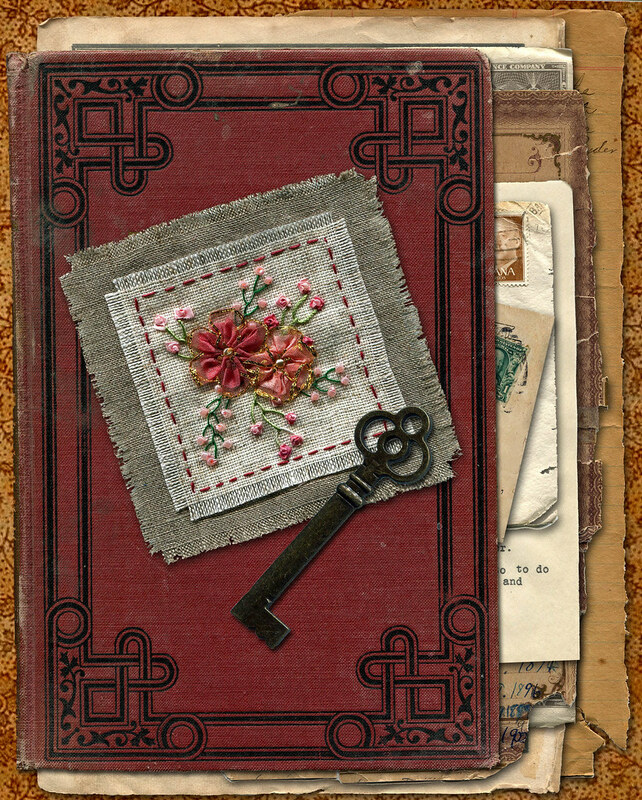 I digitally layered vintage documents, a post card and some envelopes inside an old book cover. When I finished all that I added the embroidered piece and the key. 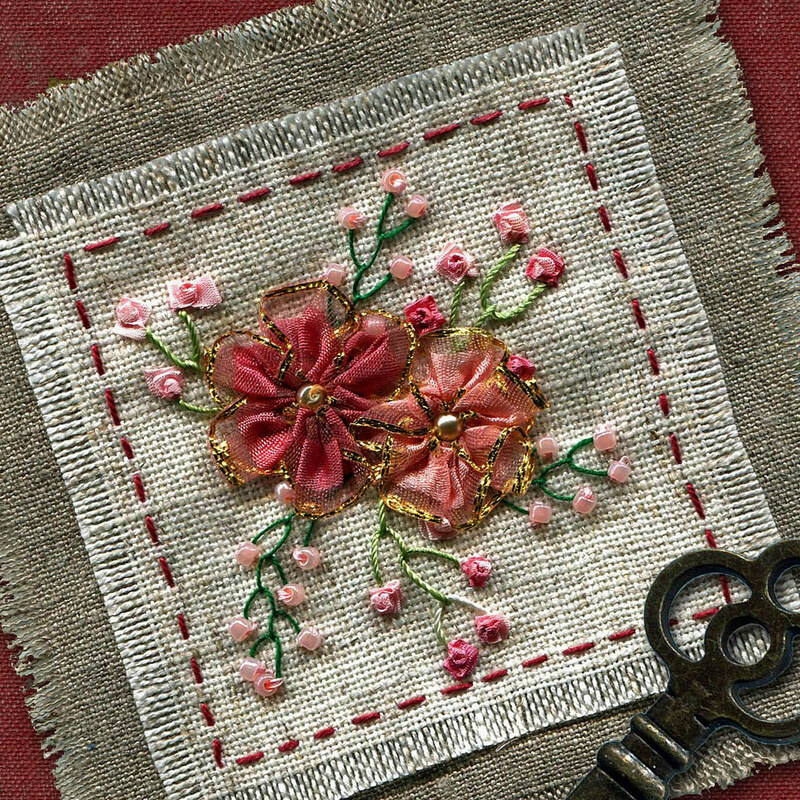 The flowers on the linen Twiltlet are folded on an Octogon paper base and then gathered. My silk ribbon students learned how to do them a couple of weeks ago. I also added the French Knot Roses I love so much. Click on either image to see the high resolution version. 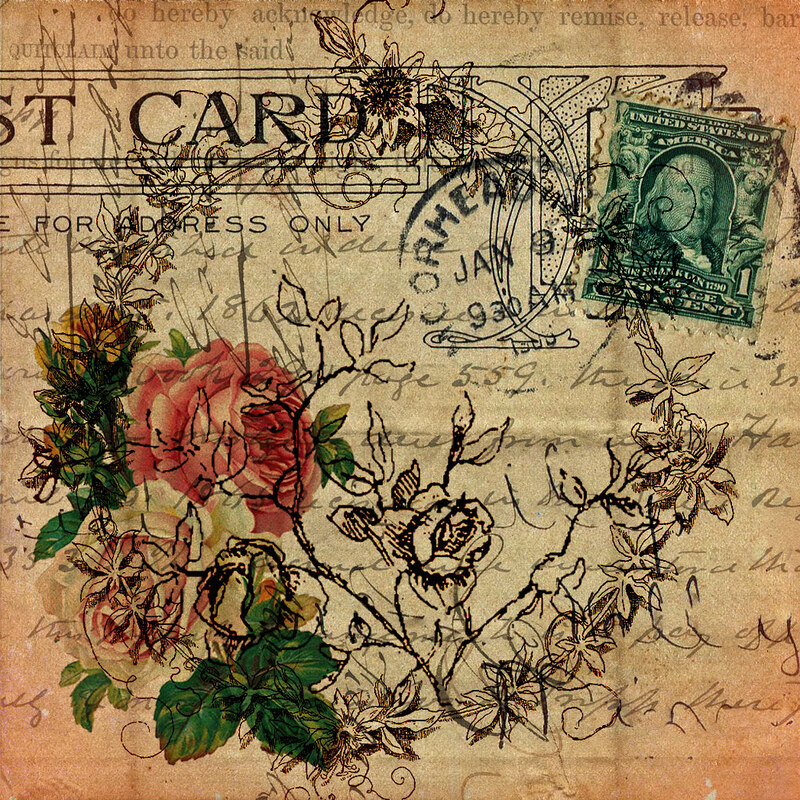 I could just picture a turn of the century lady sitting in her garden with a cup of tea and her postcard from a dear friend, as I put together this collage, “A Note in the Garden”. 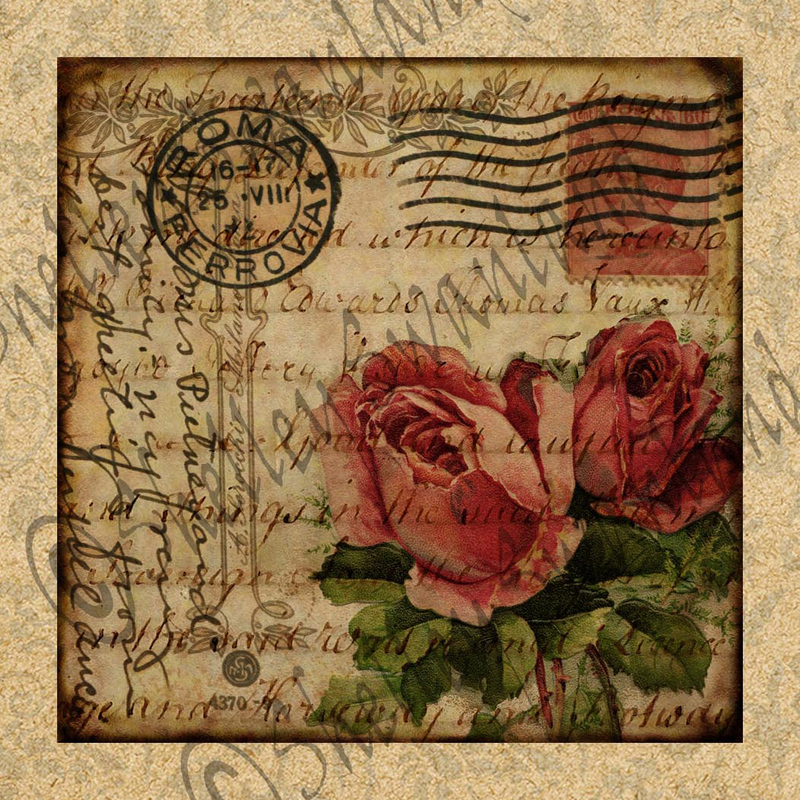 I combined a number of vintage elements, a turn of the century postcard, an old deed, a vintage flower image, the etching of a wreath and the etching of roses in PSE6. 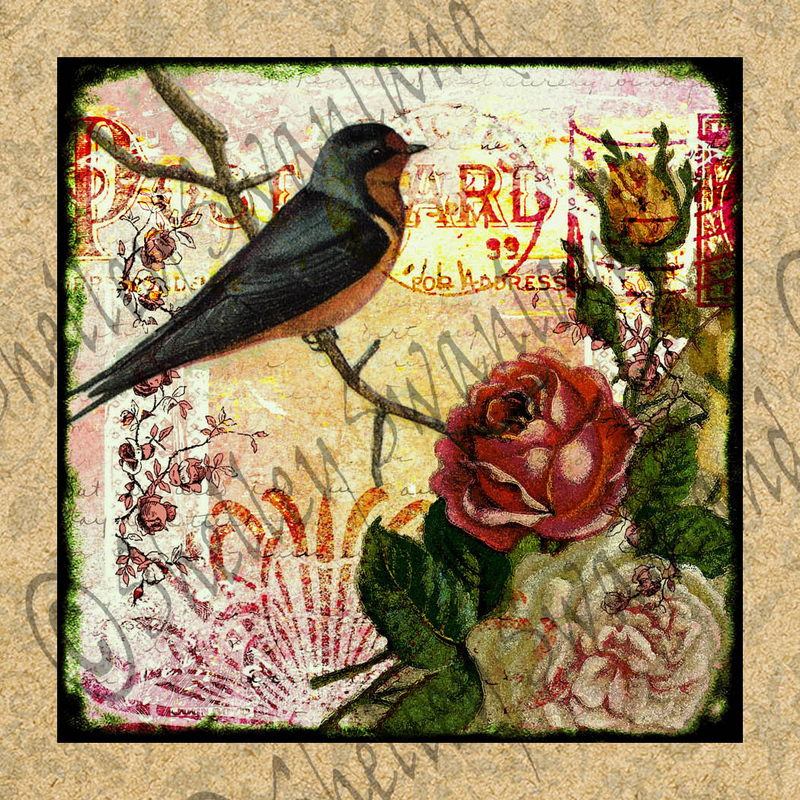 I enjoy the digital collage work almost as much as collecting the vintage elements. Swap meets, used book stores and antique stores are my obsession these days and I have found some wonderful things. I was up in the local mountains for a friends birthday and visited a used book store. I found a copy of Ben Hur from 1881. Each page of the 845 page book set included at least one black and white etching. It was a fabulous find. The etching of the flower ring and the rose etching are just two of the images. 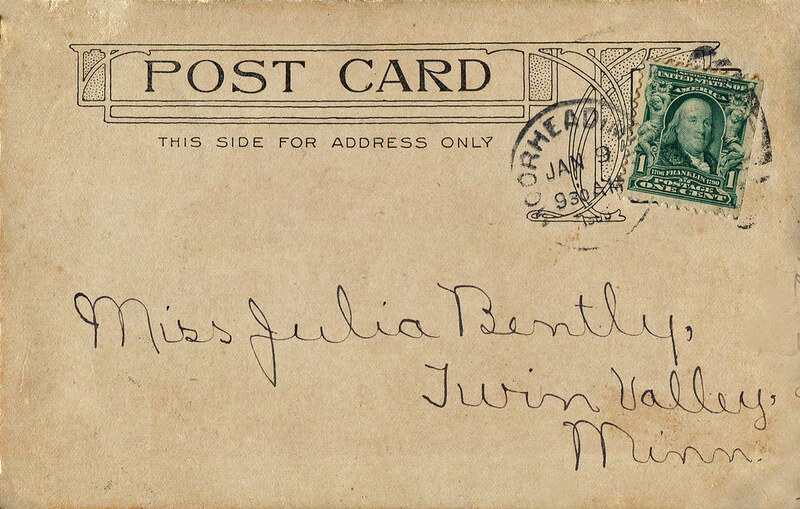 This turn of the century post card is the image I want to share with you today. I think the card dates from around 1900 but it’s hard to read so I can’t be sure. The fact that it only allows for an address on the front and no additional writing dates it from the that period as well.